Please use this form for regular farm employee applications. This is NOT the Field of Screams application. Working on a farm is great fun, but it is also a lot of hard work! 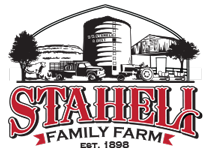 Working in the fresh air and seeing the enjoyment that people have when they come to visit Staheli Farm will make your time with us memorable! We need upwards of 50 staff to help us run the farm in the fall months so there probably is a job for everyone! Jobs include (but not limited to) tractor drivers (18+), farmland employees (16+), dining area, animal caretakers, etc. Must be 16+ to apply! We're sorry. We are no longer accepting applications for seasonal employment.